These are neat detailed charms. They are vintage style telephone with a moving dial. These are vintage and there might be patina due to age. These measure 22mm wide X 20mm high. You will receive 4 of these. excellent seller, nice items, many thanks! lovely items, great shop, fast shipping, thank you very much! 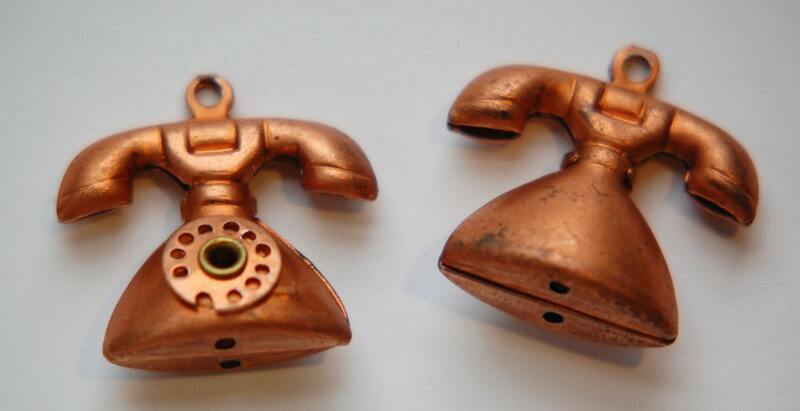 These cute vintage phones will make sweet earrings. Prompt delivery, even in a storm. I'll be back often.